Cattle listed below are currently for sale. Click on the picture or name for a full description and pricing. 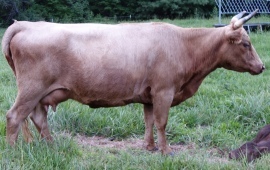 What You Get When You Purchase Songwood Cattle: When you purchase an animal from me, you will be assured of getting quality dual-purpose stock free of lethal mutations. My Dexters are genotyped for full parentage verification, so you know they are who & what I claim they are…purebred, quality animals. You will receive any and all DNA test results, as well as a full health & breeding history, and milking records for trained milk cows. I also do my best to provide support after you get your animal home, if you have questions or trouble getting along with your new cow. If you have questions or would like more information on any of the available animals below, feel free to contact me at info@songwoodhavenfarm.com. Package deals are available if you’re interested in more than one animal. 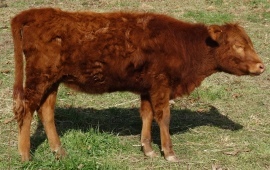 There are also sometimes steers available, either to raise as beef or just to go along as a companion.